Libre, worn on the back of my left arm. Fitted with a BluCon NightRider transmitting the data to the xDrip+ app on an Android phone. Dexcom G5, worn on the back of my right arm, and then another on my abdomen to compare. Transmitting the data to xDrip+ on an Android phone, which was using the transmitter’s native calibration mode so should produce data identical to Dexcom’s own software. Medtronic Enlite/Guardian2, worn on my abdomen. Transmitting data to a 640G pump. This data was extracted via the 600-series Nightscout uploader. How does Segal’s Law apply here? Most CGM users only have access to one system. It shows a value, and our instinct is to trust it. Every now and then we calibrate our system and compare its number to the result of a fingerprick BG measurement. When they match we feel the CGM is great. When they’re dramatically different we feel the CGM is “wonky”. But in reality we’re comparing two systems, and we don’t know which is “correct”. There’s often an implicit assumption that the BG measurement is precise and accurate, but in reality the standard for these allows them to have a variance of +/- 15% and still be “correct”. I prefer to use meters I know typically have a variance of +/- 8% or lower, and work on the assumption that it’s close to correct. If I could get a lower variance I would of course. Most of the time with a CGM we implicitly trust the value coming back from the system: we don’t check against a fingerprick each time we look at it. Instead of only comparing systems at occasional fingerpricks, wearing two CGM systems can be eye-opening. See my earlier analysis of Libre accuracy as an example. At a glance we see two different values (and curves). And sometimes the results are different enough that we don’t know which to trust! At fingerprick-time we sometimes see one CGM being closer than the other (and not always the same CGM!). You can either trust one blindly, or can see when one doesn’t agree with the other two. 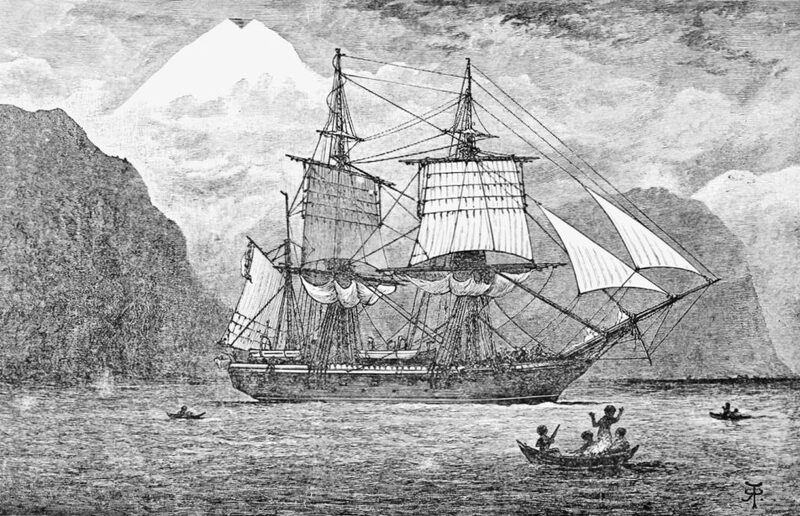 As a survey ship HMS Beagle (illustrated at the top of this article) needed to have accurate time, and apparently carried 22 clocks! In the same way, wearing three CGM systems is an educational exercise! It’s enabled a few observations about and comparisons between the systems that would have been hard to see otherwise. You’ll see the result of this in ongoing articles on this site. And no, I’m not planning on wearing 22 CGMs any time soon. Wearing three is enough of a hassle, and I’m looking forward to going back to one! Two might actually not be so bad, after all: Given a refurbished transmitter and the prolonged use of sensors, it seems quite attractive to me to continue receiving data from the old (prolonged use) sensor while the next sensor is warming up and going through its first one or two days of jumpy measurements. Now if xDrip were to query both from the same phone, and determine by noise which one to trust, or rather when to switch over to the more stable transmitter, we’d have some redundancy. Yes. In that case you might have established some initial trust in the old sensor (unless you’d inserted the new one because you couldn’t rely on it) and you’d be trying to determine when to switch your trust to the new sensor. Currently that has to be a human decision. The idea of having xDrip+ track multiple transmitters/sensors has been kicking around for a while, but I’m not sure anyone’s done it yet. I don’t imagine it would be a simple change.